The fabulous Linear Bar Stool Black which is also known as the Ridge bar stool brings the best in modern design to any kitchen. This model is equipped with a seat tailored in fine black faux leather and stitched in a series of linear segments; hence the name. 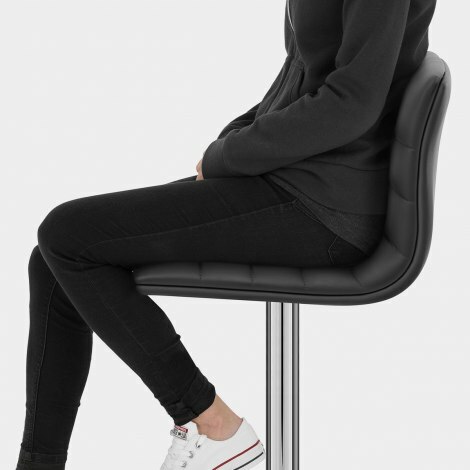 The seat is padded with high-density foam for superb comfort, and has the added advantage of a high backrest for excellent support. 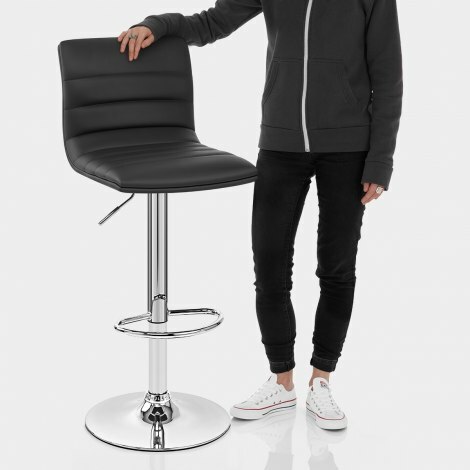 This chic design is reinforced by the practical nature of the stool, with adjustable height and 360 degree swivel functions, as well as a rubber ring beneath the sturdy base to protect your floor from scratches. 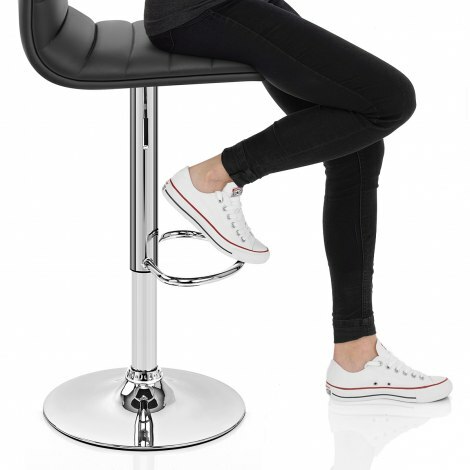 Perfect in any environment, a modern kitchen or a traditional breakfast bar, the Linear bar stool is a superb choice whatever your circumstances. "Excellent high quality product which looks great"
An excellent experience, ordering, delivery & assembly all quick and easy. Have bought from Atlantic in the past so was assured of good service. Stools arrived promptly and were as described. Easy to assemble too. Very satisfied, no problems encountered at present. Delivered within a couple of days, the bar stools look very smart in our Kitchen. Very easy to assemble. Excellent product, good quality, well padded and looks far more expensive than Atlantic Shopping were selling for. Comfortable to sit on. Quick delivery as well. Full five stars awarded. Product arrived on time and was easy to put together. Looks and works perfectly.